Throughout my years of teaching courses in environmental communication, I have been repeatedly reminded that there is something particularly gratifying about teaching a subject that really matters. This statement is not meant to suggest that all those other courses taught in the august halls of academe don’t matter. Rather, it is a reflection of my firm belief in the central premise of this book—that the ways we communicate about the natural world profoundly influence, and to a large extent determine, the ways we perceive and interact with it. The current state of environmental affairs, brought about by our fundamentally unsustainable human/nature relationship, makes the study of environmental communication one of the most relevant, timely, and important courses taught on college campuses today. As the Senegalese saying tells us: “In the end we conserve only what we love. We will love only what we understand. We will understand only what we are taught.” There is a direct and discernable connection between what we, as educators, teach and what we, as a society, care about and protect. This book is intended primarily as an introduction to the study of environmental communication for undergraduate students. It synthesizes multiple perspectives, theories, and research topics in language that I believe will be accessible to undergraduate communication majors, as well as to students in other majors who are not acquainted with the disciplinary assumptions of communication studies. It draws on the research of environmental communication scholars and on the work of writers across a wide range of disciplines and discourses. It is my hope that this book will have relevance for students in courses that focus on the human side of the human/nature relationship, including courses that deal with sustainability studies, environmental politics, social movements, environmental ethics, and, of course, environmental communication. Because of the inextricable link between social systems and natural systems, I believe this book also has relevance for the study of this relationship from the “nature” side of the human/nature interaction. For students of ecology, environmental science, earth systems science, and conservation biology, the integrative framework of science and society offers an expanded and critical lens through which to view and interpret our current environmental conditions. Practitioners in activities such as environmental advocacy, resource management, public stakeholder processes, environmental dispute resolution, and collaborative decision-making may also find this book useful. 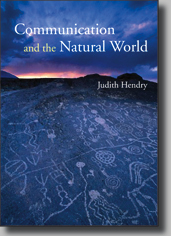 It examines the nexus of communication theory and practice through multiple examples and case studies that bring to light many of the issues involved in the day-to-day practice of managing our symbolic and natural resources. The multi-disciplinary nature of the inquiry into environmental communication, the diversity of epistemological lenses employed, and the expansive range of applications are a testament to the richness and relevance of environmental communication studies. In one way or another, whether we approach environmental issues from the science side or from the human side, as academics or as practitioners, we are all engaged in the essential business of communicating about the environment. This book takes as axiomatic the assumption that we have serious environmental problems that we need to understand and address. Written with the lay reader in mind, it establishes an environmental literacy baseline for students beginning their studies in environmental communication. In my own teaching, I have found that a fundamental understanding of humans’ impact on the natural world is a necessary starting point if students are to take an informed and critical look at the role that communication plays in our current state of environmental affairs. This book also summarizes the various environmental philosophies and perspectives that ground environmental thinking. The voices of environmentalism are far from monolithic. Although most people can agree with the premise that we have serious problems that we need to address, multiple and often conflicting voices compete to define the problems and how to address them. An awareness of the nuanced yet significant differences among the various perspectives gives students a framework for interpreting the often contentious cacophony of environmental voices. Students are advised to use discretion when applying philosophy to practice since the various perspectives are not mutually exclusive and the lines separating them are sometimes blurred or indistinguishable. The book builds on this foundation of environmental issues and perspectives to present an extensive examination of the environmental rhetoric that permeates our everyday lives. Students are introduced to the multiple sites of meaning- making and the rhetorical forms that shape the discourses of environmental advocacy, politics and science, as well as the mass-mediated discourses of popular culture, green marketing, and news reporting. Throughout the book, students are directed in a study of how and why messages matter and of the critical role of environmental rhetoric in constructing the human/nature relationship. Finally, the book introduces students to citizen involvement in environmental decision making and grassroots advocacy, which are discussed within the context of their historical, political, and legal frameworks. It examines the essential role of citizen advocacy and the tools that are available for those who take on the challenges and rewards of environmental activism in a democratic society. In writing this book, I have made several strategic choices to enhance its pedagogical utility. I have attempted to address the subject areas in language that is accessible to undergraduate students and practitioners outside of the academic setting, while still maintaining the academic integrity of the content. Many examples from historical and contemporary discourse are incorporated to clarify concepts and to make the book more engaging for the reader. The Connections textboxes, interspersed throughout the chapters, connect theory to practice, ideas, and events, and augment the book’s content by offering alternative perspectives or additional information. A broad range of topics, such as newsworthy environmental events, scientific theory, new green trends, and controversial perspectives, are introduced to heighten interest, broaden knowledge, and advance awareness of environmental communication at work in the world. Photographs and other illustrations, also interspersed throughout the book, help bring to life the people, perspectives, and concepts discussed in the text. Some of these give faces to historic names and iconic figures, while others illustrate environmental communication in contemporary contexts and real-world settings. The captions extend the visual commentary represented in these images. At the end of each chapter, you will find discussion questions and exercises geared to engage the student through application of issues and concepts, and to challenge the student to reach farther and learn more. These have been beta tested in my own classrooms, and I have found them to work well as discussion guides, group exercises, or graded assignments. Recommended readings at the end of each chapter invite the student to go beyond the book and further explore the topics and ideas it presents. These lists direct students to original authors, groundbreaking work, and influential writers in the field of environmental communication, as well as to significant works of environmental writers from a diverse range of disciplines and research traditions. An Appendix, Additional Readings, contains five classic environmental essays that are intended to familiarize students with some of the compelling and influential voices of the past. The authors of these works have inspired environmental thinking throughout the decades and remain relevant, thought-provoking, and timely today. The essays, referenced throughout the text, may serve as useful artifacts for analysis and classroom discussions. A Selected Bibliography offers an extensive list of classical, popular, and scholarly works from which I have drawn information and inspiration, and that I believe may be useful to students who wish to continue their study of environmental issues and communication. Examples from this list are used throughout the text to highlight and clarify ideas and concepts, and to introduce students to many of the noteworthy writers and scholars in this multidisciplinary field of study. An annotated Timeline of significant milestones of the modern environmental movement is also included at the end of the book. Though representing only a small part of our inheritance from those who have gone before us, the milestones listed on this timeline bring to light our debt of gratitude to all those whose toil and tears were the driving force behind the environmental movement and led to the environmental protections we enjoy today. The reader will undoubtedly recognize the pro-environmental bias that permeates the book. As mentioned earlier, this book begins with the assumption that we have serious environmental problems that we need to address--an assumption that implies a need for action. Thus, what we do and what we teach as environmental communication scholars is inherently and inevitably normative and prescriptive. I believe that our ultimate concern as scholars in this field should be the pursuit of knowledge to advance changes in the conditions of society that have led to our sobering environmental realities. Throughout the book, students are challenged to learn more, to contribute to the conversation, and to take an active role in bringing about changes necessary for a more sustainable future. The wide range of topics and areas of research covered in this book are organized into five parts. Part I, “Environmental Communication in a Changing World,” introduces students to the study of environmental communication and its grounding assumptions. Chapter 1, “Communication and the Environment,” shows how symbols influence perceptions of reality and, by extension, how communication influences the ways we perceive and interact with the natural world. Chapter 2, “Our Changing Environment,” discusses many of the significant environmental problems we currently face. It is intended to give students a baseline of environmental literacy from which to begin their study of environmental communication. Part II, “Environmental Worldviews,” summarizes the major environmental perspectives that ground environmental thinking, policies, and practices. Chapter 3, “Mainstream Environmental Perspectives,” looks at stewardship, conservation, preservation, and sustainable development, as well as some of the significant historical and cultural influences that have led to mainstream anthropocentric assumptions about the human/nature relationship. Chapter 4, “Radical Environmental Perspectives,” examines challenges to the mainstream views that have emerged through the philosophical perspectives of deep ecology, social ecology, and ecofeminism. The chapter outlines the differences among these perspectives while cautioning the student against applying blanket categorizations to a particular person or group based on these philosophical distinctions. Part III, “Rhetoric and the Environment,” is designed to move students toward a critical awareness of the pervasiveness of environmental rhetoric in our everyday lives, and its profound impact on our perceptions, policies, and practices. Chapter 5, “An Introduction to Environmental Rhetoric,” discusses rhetorical functions and forms. It also introduces students to some of the major rhetorical figures, both historical and contemporary, that have contributed to this richly diverse area of inquiry. Chapter 6, “The Rhetoric of Polarization,” examines polarizing rhetoric by way of case studies involving two influential groups that are poles apart in their philosophies concerning humans’ place in the natural world—Earth First! and Wise Use. Chapter 7, “Prophetic Rhetoric: Apocalyptic, Irreparable, Utopian, and Jeremiadic,” examines forms of prophetic rhetoric that figure predominantly in messages we create and receive about the natural world. Chapter 8, “Technical Rationality and the Rhetoric of Risk, Science, and Technology,” looks at the roles of technical rationality and cultural rationality in discourse about environmental issues. It shows why technical rationality, even when grounded in the most compelling science, often fails to sway public opinion or translate into policy and practice. Part IV, “Media, Pop Culture, and the Environment,” exposes students to a number of sites of rhetoric production. The chapters in this section are designed to bring to light the pervasive influence of cultural messages and their implications for constructing humans’ place in the natural world. Chapter 9, “Environmental News Reporting,” deals with one of the more conspicuous sites of meaning construction. This chapter examines some of the difficulties faced by those who are tasked with reporting complex, sound bite–defying environmental issues. Chapter 11, “Popular Culture and the Environment,” explores some less obvious but profoundly influential sites of meaning construction, by way of a guided tour of selected popular culture sites that environmental communication scholars have examined. This chapter gives the student a glimpse of the power to create environmental realities that resides in the vast domain of popular culture. Part V, “Public Participation and Environmental Advocacy,” shifts the focus from citizens as consumers of environmental messages to citizens as activists and participants in the dynamic and ever-evolving environmental conversation. Chapter 12, “Public Participation in Environmental Decision-Making,” covers a broad range of topics. It discusses the National Environmental Policy Act of 1970, which created the mechanism for incorporating public participation in federal land use decisions. This chapter also highlights other significant legislation that has enhanced access to information for citizen activists. Several case studies demonstrate the benefits of citizen participation in environmental decision-making, as well as some of the obstacles that often impede the effectiveness of that participation. Chapter 13, “From the Ground Up: The Environmental Justice Movement,” directs attention to ways in which those who are most impacted by environmental pollutants and degradation are silenced by the rhetorical disadvantages that accompany racial, social, economic, and political inequalities. It offers an extended look at the environmental justice movement, topics, and sites of concern, both in our own backyards and abroad. The chapter concludes with a look at the injustice of global warming and a call to consider the moral implications of a world where the poorest populations bear a disproportionate share of the costs. In reading this book, students will examine a broad range of symbolic resources and environmental messages through multiple lenses. I look at these lenses as telescopic viewfinders like those stationed periodically in our national parks that, for a quarter, will frame and magnify a select portion of the panorama. Each perspective discussed in this book brings into focus that which might have been obscured, and presents a communication framework through which to view our complicated, inextricably intertwined, and manifestly broken human/nature relationship. The true pleasure of writing this book has come from the subject matter handed to me by the scholars and writers in this rich, relevant, and exciting field of inquiry. It is with tremendous gratitude that I acknowledge my debt to all those academics and practitioners on whom I have drawn so extensively throughout this work. I also gratefully acknowledge the invaluable contribution of my students who have significantly influenced this work from its earliest inception and who have been my impetus, my inspiration, and my most adroit critics. I would also like to recognize the large and impressive jury of peer reviewers, many of whom I have the honor of knowing. Much of what you read in this book is a direct result of their insight, expertise, and enthusiasm for this emerging field of study. Among those who have contributed extensively to this book are James G. Cantrill, Northern Michigan University; Terence Check, College of Saint Benedict and Saint John’s University; Catherine Collins, Willamette University; Stephen Depoe, University of Cincinnati; Jonathan Gray, Southern Illinois University; James Hasenauer, California State University, Northridge; Jeffrey Kassing, Arizona State University West; William Kinsella, North Carolina State University; Mark Meisner, State University of New York, Syracuse; Jennifer Peeples, Utah State University; Daniel J. Philippon, University of Minnesota; Emily Plec, Western Oregon University; Steven Schwarze, University of Montana; Susan Senecah, State University of New York, Syracuse; Stacey K. Sowards, University of Texas at El Paso; Jessica Thompson, Colorado State University; and Anne Marie Todd, San Jose State University. I wish to express my profound appreciation and gratitude to my editor and publisher, Kathleen Domenig, whose patience, encouragement, astute analysis, and sterling insight have brought this book to publication and taught me so much. I also wish to thank Brian Henry, Strata’s general manager, for his hard work and meticulous oversight of this project. Every page of the book has been refined and enhanced through their keen judgments and extraordinary efforts. And finally, this book could never have come to fruition without the tireless support and enduring patience of my husband, Doug who, as in the timeless words of William Blake, can “see a world in a grain of sand.” Time and time again, his confidence in me, his gentle persuasion, and his steadfast support smoothed the journey and kept me going.